The big airports have invented a so-called 'capacity crisis'. But the real crisis is with our climate, as news emerges that emissions are set to rise. To butcher an old Chinese proverb; the best time to reduce carbon emissions was decades ago. The second best time is now. Leaders are talking the talk on climate breakdown and carbon emissions but not walking the walk. Nowhere is that more obvious than at home in the UK. At the UN climate talks in Bonn our government proclaims Britain a world-leader in the fight against runaway climate change. Meanwhile, back in Britain, the same government is pushing ahead with its plans for aviation expansion (not to mention fracking). Without action, the government’s words are just, perhaps aptly, a load of hot air. The news that CO2 emissions will rise in 2017 for the first time in four years is distressing. Especially coming as it does just days after the World Meteorological Organization confirmed that the amount of CO2 in our atmosphere surged to a record high in 2016. When it comes to Heathrow expansion, talk has focused on the government’s updated analysis of the devastating air pollution impacts. Air pollution alone must rule out a third runway. But the justified alarm over air pollution has just served to get Gatwick Airport’s PR department very excited. It’s time for Ministers to step in to put both airports out of their misery – the only climate-viable option for aviation in the UK is no new runways. Aviation is a top ten global polluter and carbon emissions from the heavily subsidised industry are projected to balloon by 300% if action isn’t taken sooner rather than later. Not accounting for any airport expansion, emissions from aviation are already expected to use up more than two-thirds of the UK’s carbon budget by 2050. At the same time, the government’s so-called ‘Clean’ Growth Strategy has already revealed the UK is already set to miss its legally-binding carbon targets under the Climate Change Act. Again, without building any new runways. 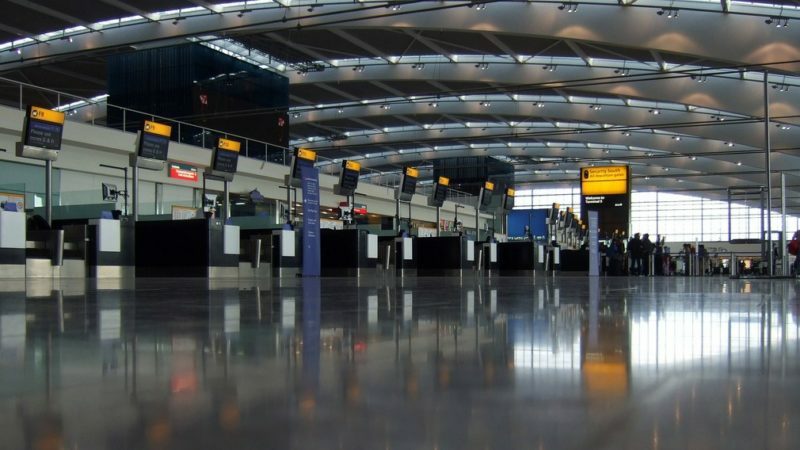 Despite what the Gatwick and Heathrow’s exceedingly well-funded marketing machines would have politicians believe, the UK doesn’t have an airport capacity crisis. Britain is already amongst the most frequent flyers in the world. In fact, more passengers fly in and out of London than any other city in the world. Every airport but one is operating under capacity. And the cases put forward by Gatwick and Heathrow to solve this manufactured ‘crisis’ rely on vastly inflated job creation predictions, and hinge on increasingly dubious demand assumptions – especially in the face of post-Brexit uncertainty. Nine of the ten most popular destinations from Heathrow involve short-haul flights. In fact, almost half of all flights in Europe are 300 miles or less. Existing rail services could offer genuinely workable alternatives on most of these routes. As trains are less polluting than planes, by a factor ten, this would help reduce aviation emissions and free up landing slots for longer haul flights. At the same time, it is worth looking at the aviation demand demographics: three-quarters of international passengers are disproportionately wealthy and travel for leisure. The vast majority of the UK’s airport capacity – 70% of flights – is used by just a minority of frequent flyers, 15% of passengers. The current taxation system means those who don’t fly and those who fly even just once a year are subsidising the jet-setting lifestyles of a privileged few. Airport expansion remains a climate-wrecking decision that is bad for the British people and the planet. By continuing to back a new runway, the government is displaying a shocking disregard for the UK’s legal and moral obligation to tackle the very worst effects of the climate breakdown. Greens back better aviation planning, rail investment, and a fairer ‘frequent flyer levy’. All of this would help reduce demand driven by the privileged few – and reduce costs for the average UK holidaymaker. Despite what the government maybe be telling the world in Bonn, airport expansion will make a mockery of our legally-binding commitments under the Paris Agreement. Instead, Theresa May must reject the myth of a ‘capacity crisis’, and work to reduce demand while making the industry fairer.